Starting a business is rough, but sometimes keeping it afloat is much harder. The world of business evolves almost day by day, and one needs to adapt. Gather information, process it, make the right adjustments, measure results, and repeat from the top. But some things that happen can really turn things around, things that can really push the limits of your business. This was something I found out right in the middle of a dilemma, when I was trying to find a way to increase the conversion rate of my brand. I needed to find a way to engross them, communicate with them and make sure they come back for more. Most importantly, I need to find a way to up my profits. I’m sure you know how difficult it could be. Conversion is king, and it is an elusive one. As I was considering the possible solutions, I was thinking big. Viral marketing campaigns, paid advertisements, reaching out to local media — it all sounded like a lot of work! I never thought that a simple plugin for my website — one that can be installed with just a single click — can solve most of my problems. Meet SumoMe, created by Noah Kagan and the awesome guys behind the App Sumo website. 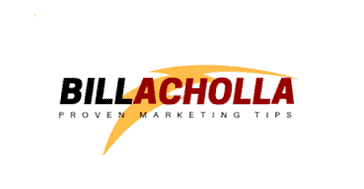 Here I will show you how to increase conversion rate with this toolset. Last 2015, Vaseal Montgomery — a retired military officer — posted a total revenue of $19.2 million. This was remarkable for a business that was sparked by Pac-Man. Yes, that ghost-eating yellow dot, which inspired Montgomery to learn about system programming. This then gave her the necessary training to set up a company, which will grow to assist such agencies as the Department of Veteran Affairs. Montgomery did not have a windfall or a stroke of luck — instead she had an inspiration, spurred on by curiosity. What made Pac-Man do it? This led her to learn, experiment, and ultimately blaze a trail. Her path to success made it look simpler than it usually is. There was no drama, no rise-and-fall and no complicated web of events. Sometimes, that’s all that it really takes. Increasing conversion rate involves tapping into a variety of marketing skills. I have to create great content, and I have to let many people know about them — this means creating share-worthy text and images. I use SEMRush for keyword research, which allows me to create articles that correspond to the demand for certain keywords. Of course, this is not enough and I also need to know more about customer activity — how are users interacting with my site? Targeted marketing efforts — through email lists — also help a great deal. As I improve my content, loyalty is built, and it is easier to convince people to hit the “buy” button. SumoMe is a suite of apps that ties into my website’s functionality. I found out that it is a sort of umbrella application with smaller apps nested within. Each app is geared towards better analytics, increasing viewer engagement and conversion rate. Here’s a Rundown of the Incredibly Useful SumoMe Apps. List Builder – By creating a pop-up, this app can help build your email list. According to SumoMe, this alone can improve your email signups by 20%. Heat Maps – This creates reports that show you where your customers are clicking when they use the site. Share – Social media is the new battlefront, and this plugin allows your users to share your content easily over a wide variety of social media sites. This is perfect if you want to increase traffic without spending a dime. Google Analytics – This ties in to the Google Analytics service, allowing you to view your site information without leaving your website. Scroll box – Don’t like pop-ups? This SumoMe plugin appears only towards the end of a page, politely requesting for the user’s email address. Image Sharer – This allows users to share your images directly to social media. I find this really useful when it comes to sharing infographics. Highlighter – This allows users to share quotable quotes directly just by highlighting them. Welcome Mat – This makes it possible for you to create a call to action as soon as people land in your site. Content Analytics – This helps you know exactly what parts of your posts people read. Smart Bar – This lets you get new subscribers with a small entry form at the top (or bottom) of the page. 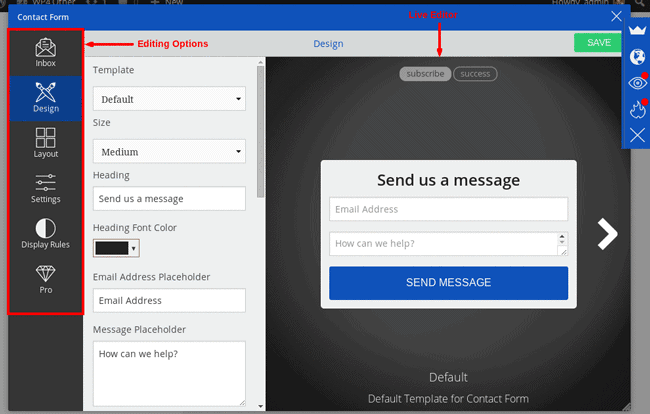 Contact Form – lets users reach out to you directly with a mail form. SumoMe has attracted a lot of reviews largely because of three things — simplicity, efficiency and price. In fact, it has a free version for those just thinking of trying it out! However, before we discuss pricing, I’d like to show you just how easy and effective it is. Truth be told, I wasn’t really inspired by the name. SumoMe sounded like a marketing ploy. However, when I learned how one user gained an extra $82,125 with the app, I knew that there was something up. Brian Dean had a problem — he had abundant traffic, but an abysmally low conversion rate. Instead of delving into complicated customer psychology and looking for complex solutions, Brian opted for the simple, turnkey solution — install SumoMe and use the free List Builder app. Brian and I had the same initial reaction. List Builder was a pop-up — and people hate pop-ups. However, just after two days, the plugin helped him more than double his conversion rate. List Builder does this by putting two things in your pop-up — a customized call to action, and an email field. This allowed me to pitch the best part of your site as soon as people arrive, and allowed for a painless way for them to sign up. I can then feed these emails into another free tool like MailChimp to create targeted advertising direct to the customer’s inbox. All this can be done with just a few clicks, giving me a conversion-increasing tool in a jiffy! Wait… Why Build An Email List? According to Robbie Richards, email list building should be the number one priority, but he also recognizes that it is too easy to fall into the trap of focusing on expensive tools. However, it is possible to do it without all that. In fact, Robbie did it without any budget and without any connections. The trick is to get the traffic first then collect that traffic into an email list. From this, conversion should come much easier. Robbie similarly used SumoMe to collect emails and achieve a total conversion rate of around 5% a day. In all, he has collected more than 4,635 email subscribers — a number which grows day by day. One of the reasons why List Builder is such a powerful platform is because it engages the user through visuals. Subtle animations, pretty fonts, and engaging colors all go together for a great experience. However, I realized it is important to craft my own visual content as well. These are the things I should then send to my email subscribers. Photos and videos are the new darlings of the media. In fact, only a little less than 4 trillion photos have been created since the history of mankind up to 2011 — but in 2015 alone, a trillion photos had been produced. According to Lee Odden in an interview with VisMe, it is important to cut down to the specific kind of visual content your audience wants, as well as where and how they want it. This visual content can range from original research (formatted into infographics), regular pictures, and illustrations of new ideas. These have to be unique and original. It is also important to test the performance of these images through different networks. This is where SumoMe comes in again with its Share, Heatmaps, Google Analytics, Content Analytics, and Highlighter apps. Put together, these applications all help you filter through the digital noise. You will know what kind of visual content is successful on which platform, making it possible for you to produce more of them. Visuals will increase engagement, and an engaged user converts more easily. Of course, that long list of emails and all those marketing pitches will be useless unless you actually get people to buy. Matthew Woodward knew this, and he also knew how conversion rates can decline over time. He realized this after a stint on an expensive $57 plugin, which does pretty much the same job as SumoMe’s Welcome Mat. His 2% daily conversion rate gradually dwindled to just over 1%. With SumoMe, however, his conversion rate soared upwards of 5% — with the same messaging and copy as the one he had before. All he had was a simple call to action and a place where people can put their emails, after which, they are directed to a download page. In the end, his conversion rate increased by more than 400%. Here, Matthew hits two birds with one stone. He did not just collect email addresses where he can send visually appealing marketing pitches. He used the SumoMe Welcome Mat plugin to lead potential customers into a preview of his quality content. Such a strategy entices users to get the full view of his content by purchasing (converting). This just shows another way a simple 15-minute process — from download to setup — can drastically affect your site’s conversion rates. We’ve already mentioned that you can get SumoMe for free, though this is primarily meant as a “trial” subscription with some limitations. For who need the extra oomph like A/B tests and more templates, they can get the Pro plans that start at $29 per month. But here’s why the pricing of SumoMe should not be a bottleneck: the earning opportunity is unlimited afterwards. Between the increase in traffic and the proportionate increase in conversions, you can build a six figure income as easily as the others mentioned here. The amount you pay for SumoMe is but a drop in the bucket, an investment in the face of this big potential. According to Sean Smith Simpletiger.com, SumoMe is a fantastic way to increase conversions because it’s able to jump on the back of whatever system you’re currently using and amplify it’s effect. It’s just a no-brainer if you’re trying to get some quick wins in CRO. I can personally vouch for the efficiency of SumoMe as a means of increasing conversion, but that’s not enough. You need to experience it to. It’s very easy — just sign up, add it to your site (via WordPress plugin or code), create a campaign to gather email addresses, and send targeted emails to your subscribers, and don’t forget the quality content. This is a whole lot easier than practicing some convoluted marketing ploy. Are you ready to sumo size your conversion rate? Walk with me on this one, and let’s build business together.